Her disgusted tone told me these grades soiled her perfect GPA. She shrugged her shoulders, pouted her lips and darted her eyes to the side, obviously long since finished with examining her grades. “Will you despise it, too?” I asked directly. “Will you loathe it?” I whispered and raised an eyebrow. She realized I was joking, so I smiled and began pointing out all the good in her essay. In addition to a strong grasp of structure and grammar, I illuminated clever phrases, intelligent ideas, and keen persuasive techniques. Her gaze was locked on mine as she wanted the answer. After thanking me and parting, I knew writing would most likely never overcome math as her favorite subject, and that was okay. At least her writing could benefit from some of her wonderful enthusiasm. 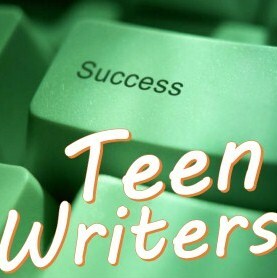 Here’s another story about Teen Writer Success. Disclaimer — It’s true: writers write what they know, and, yes, I write from my experiences. However, all characters and situations in my stories are fictitious fusions, creative amalgamations. Any resemblance to real persons, living or dead, or real interactions with me are purely coincidental.